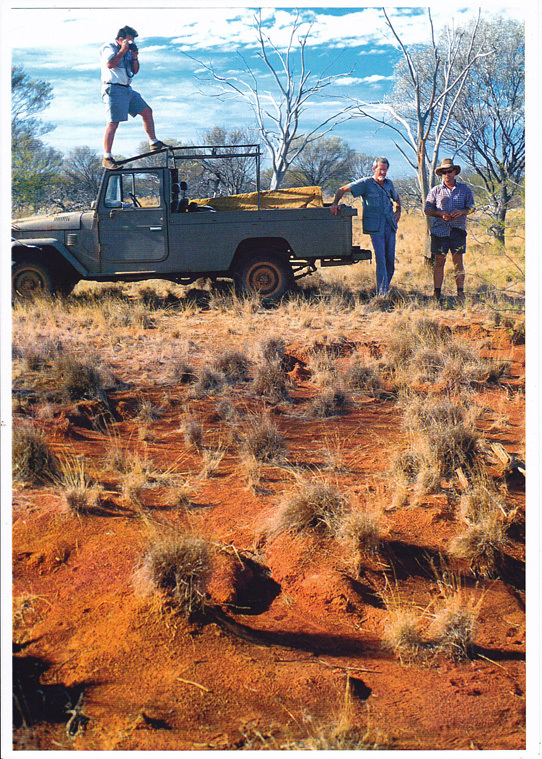 The primary purpose of EMU (Ecosystem Management Understanding) is to introduce managers and planners to recognising natural patterns and processes and learning to work with them toward the health and recovery of landscapes and habitats. This approach was initiated in 2000 by Ken Tinley (DSc.Ecology and Wildlife Management) and developed together with Hugh Pringle (PhD. Landscape Ecology). EMU is a not-for-profit organisation. Only the title is trademarked - information, tecnniques and materials are freely available to be downloaded and used with due acknowledgement and reference. (1) EMU is a practical approach to ecological land management building on the land-user's own knowledge of the land. (2) Drainage catchment units and sub-units are used as the functional geo-ecological basis to understanding and managing land. (3) Salient Factor Analysis of information derived from map overlays done on site (read more in Workshops). (4) Air reconnaissance (read more in Air Reconnaissance). (5) The combination of area relevant mapped information and aerial and ground traverses engenders a top-down perspective and analysis interactive with bottom-up ground verification and management action. (6) The EMU exercise is a simple yet profound way for developing competence in land literacy and to work with the natural processes entraining them to do most of the healing and recovery work. (7) Changes in landscape function are monitored by means of date recorded map overlay notes, a “tick-box” record, and fixed point photos. (8) Harvesting and spreading rainwater is used as a primary basis to landscape recovery. (9) Strategies for the rotation and control of numbers of stock or wildlife are recommended where necessary. (10) A core objective of EMU is biodiversity conservation as the variety and condition of the native flora and fauna is the ultimate basis to the viability of any land use or enterprise based on natural landscapes. The ultimate success of EMU occurs when pastoralists/managers rarely require extension help and instead help guide other managers in mapping their knowledge and learning how to recognize and interpret the signs of their land for management purposes. The versatility of the EMU approach enables it to fit the various circumstances of culture, place, finance and climate. It is as valuable in the 3rd world as it is in the 1st world; with literate or illiterate land users. 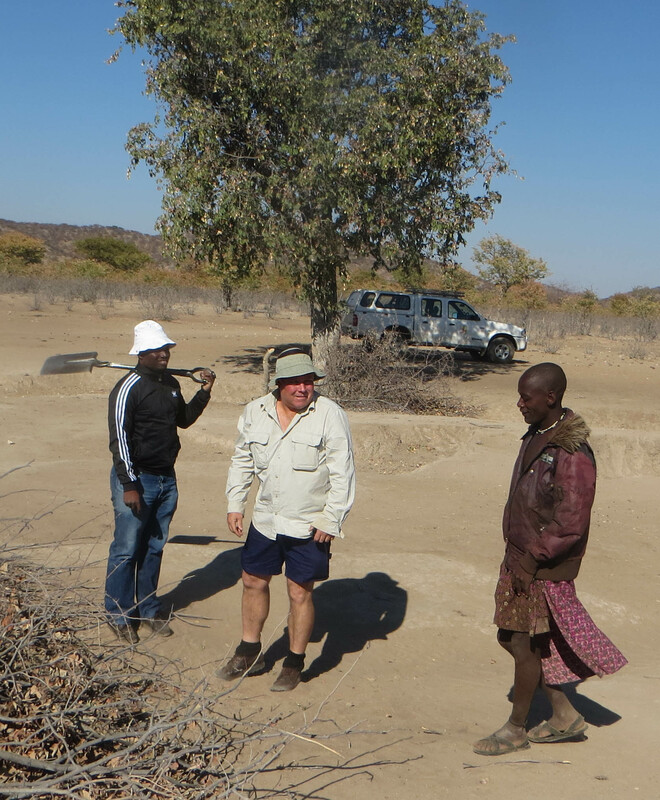 Shamate, Hugh and a pastoralist in Namibia 2017.